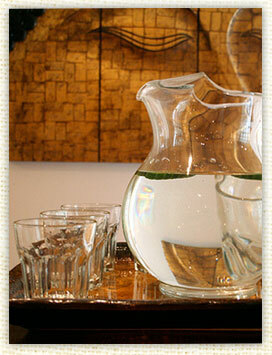 Welcome to Glow Acupuncture and Wellness Center, located in Yaletown, in downtown Vancouver. Our goal is to provide the finest holistic health care as a pathway to health, longevity, and wellbeing. We recognize that each patient is an individual whose state of wellbeing is uniquely affected by lifestyle, emotions, diet, habits, environment, and outlook. Thus, we acknowledge that each person's requirements will differ from those of another. We endeavour to create trusting and respectful partnerships so that each patient may participate with knowledge and confidence in his or her own healing process. Some of the holistic therapies offered at Glow are over 5000 years old and others have been developed within the last 20 years. Although they differ considerably in the way they affect the body, mind, and spirit, they are all effective ways to achieve harmony and balance. We provide a variety of services including but not limited to: Traditional Chinese Medicine, Acupuncture & Herbal Medicine, Registered Massage Therapy, Naturopathic Medicine, Classical Five Element Acupuncture, Counselling, Reiki, Homeopathy, Nutritional Counselling, Spiritual Counselling, Scientific Hand Analysis, Acupoint Injection Therapy, and Cosmetic Acupuncture.